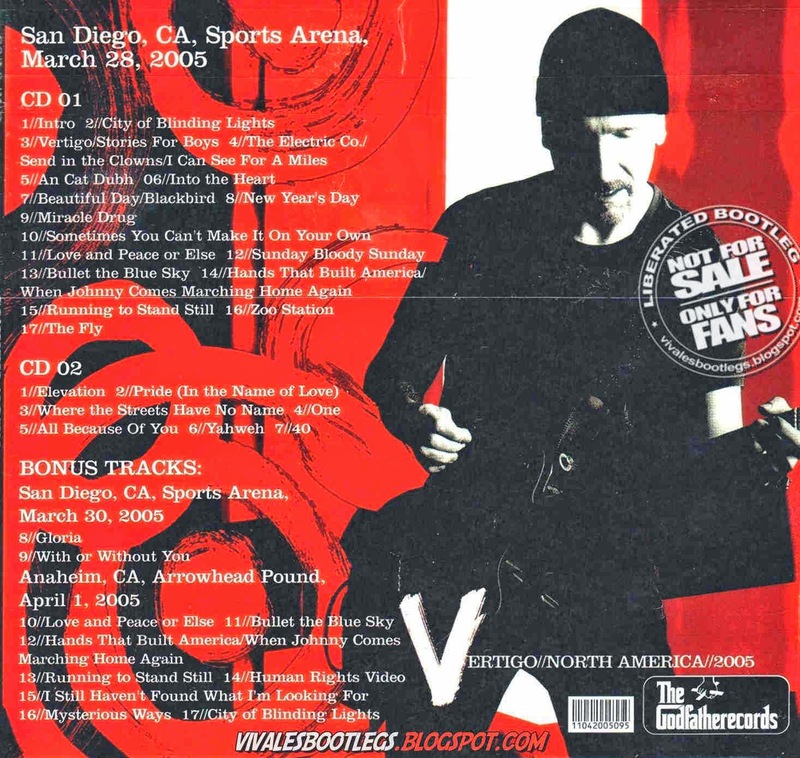 Recorded Live at Sports Arena, San Diego, USA - March 28, 2005. Files: 34.:: Size: 1.01 GB (flac). 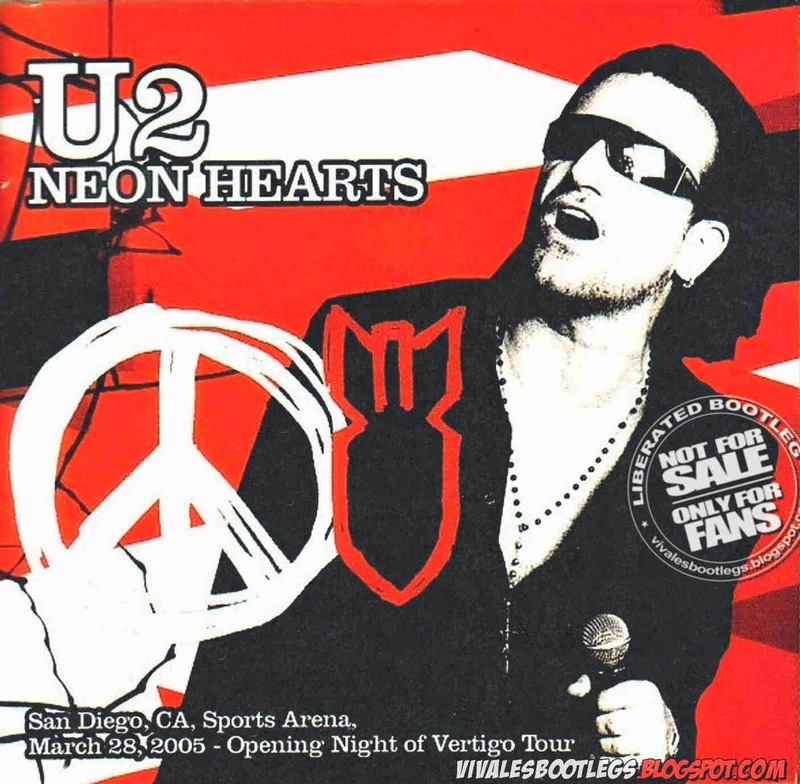 Personnel: Bono – The Edge – Adam Clayton – Larry Mullen, Jr. .
Notes: Opening Night From The Vertigo Tour - Great Show With A Very Nice Sound . The sound quality of all three shows featured on this release are comparable in quality and are of excellent audience quality. All of the instruments are equally represented in the mix and there’s not a ton of audience noise to distract from the listening experience. This release is definitely one to have and to listen to. (info taken from collectors music reviews).